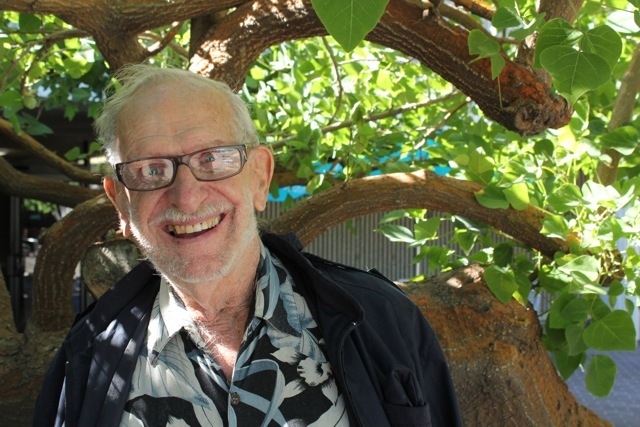 Scott Wilson, founder of North East Trees, died this morning after collapsing in his Eagle Rock garden over the weekend. He was 89. According to a statement issued by North East Trees, Wilson was pruning a tree to take clippings to his church when he lost consciousness and fell. “I believe this was how Scott might have chosen his final act to be: in service to his community – and in a tree,” wrote executive director Mark Kenyon. There is no word yet on what kind of tree it was. “We’ve been asking each other that all day,” said North East Trees landscape architect Kathleen McKernin. thank you Emily, for remembering Scott. It’s up to us now! Beautiful. A life well lived and a legion of trees all over the city to sing his praises. A classic Scott line. One of many good ones.